"Loen bygdebase" is a Norwegian web-site. All text on this site is written in Norwegian, excep this page where it is made an attempt to write in English. Even though you don’t read Norwegian, the family tree and perhaps the photos might be of interest . "Nettstadar" (web-sites connected to Loen) may also be of interest because some of them have text written in different languages. 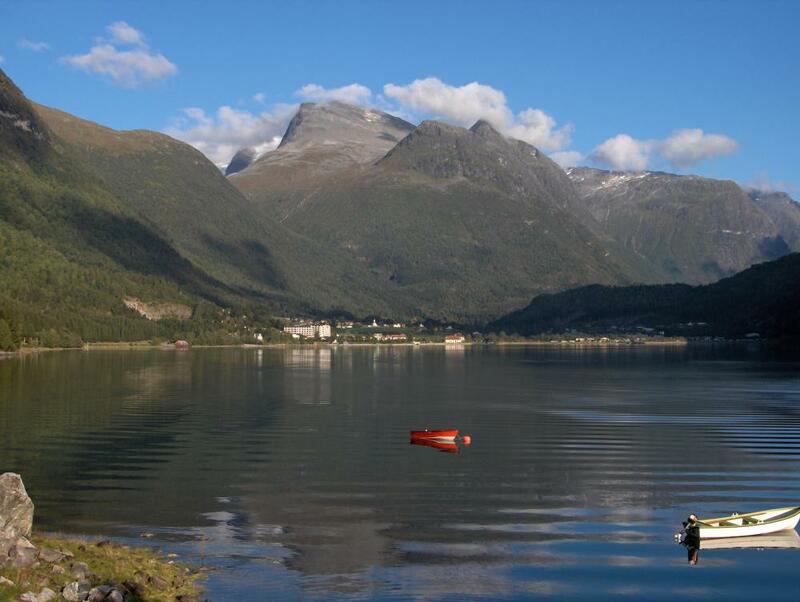 Loen is a district ("sokn" = parish) in western part of Norway. This District comprises the following farms: Strand, Marsaa, Opheim, Rake, Loen, Tjugen, Haugen, Sæten, Sande, Helset, Hogrenning, Raudi, Bødal and Nesdal. The Family-history includes all persons who have lived in the Loen area or were born in this area in the period from about 1750 until about 1930 (7000 persons). The family-tree is located under the item "Lokhis" (local history system). In "Lokhis" you look up the persons through names and number used in "Matrikkelen" (Cadastre) . First you choose "Gard" (cadastral unit) and then within "Garder" you chose "Bruk" (property unit). For each "Bruk" there is a list of persons who have been farmers on this "bruk" through the history and for each peson there is link to this persons occurrence in the family tree. If you do not know which farm the person come from, you can look up the person from a list of persons sorted by first name. From each person there is a link to the family tree. You need to be registered to get access to loen.lokhis.no. If you are related to the Loen area you may be given access to the system. Contact Loen webinfo for username and password. To use the family tree or the list of persons you need to know the meaning of the following words: fødd (f.) = born, død (d.) = died, fødested = place where the person is born, bosted /bustad = place of living, ektefelle = husband /wife, barn = children.